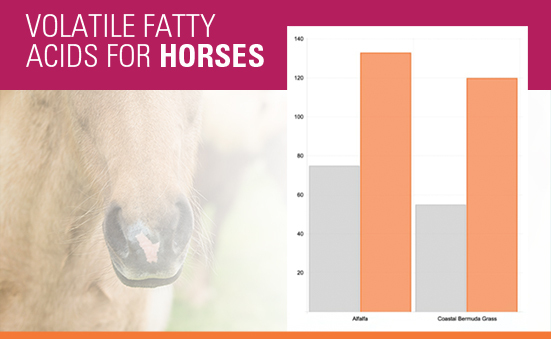 Volatile fatty acids (VFAs) are a group of fatty acids produced by the cellulose digesting microbes in a horse’s hind gut. Interestingly, the microbes that produce VFAs cannot use them; they are simply a by-product of the fermentation process employed by the microbes to degrade cellulose found in forages. Instead, the horse absorbs them through the cecal and colonic epithelium, and they are distributed throughout the body as energy for a wide array of biological processes. 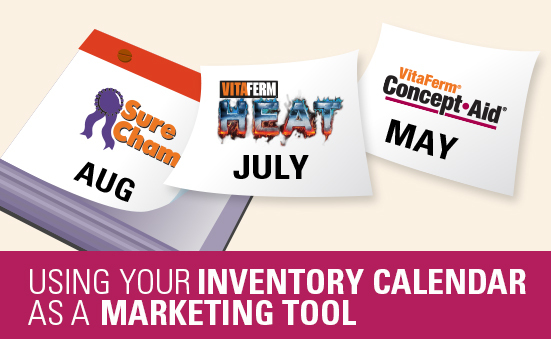 The most common VFAs are acetate, propionate and butyrate. Collectively, these account for the majority (approximately 70 percent) of the horse’s energy supply. At a basic level, this allows the horse to survive as an herbivore and contributes energy to the general maintenance of the horse including body condition, hair coat, hoof health and the immune system. 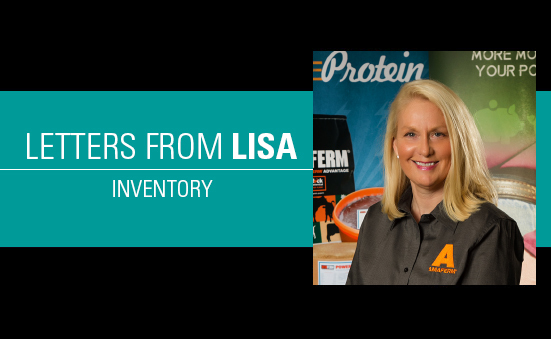 Additional burdens, such as competition, stress, and lactation, require additional energy supply and, therefore, additional VFA production and absorption. Several components of concentrates are also broken down by microbes in the hind gut. However, the type of microbes responsible for concentrate degradation produce a different ratio of VFAs than the cellulose digesting microbes. This ratio, which contains more propionate and less acetate, is less desirable for the horse since acetate is the most accessible energy source. 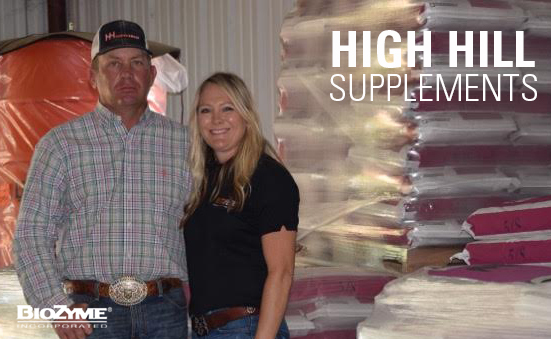 Although concentrate supplementation is necessary in many situations, a diet high in forage content is necessary for the horse to adequately produce enough VFAs to meet its energy requirements. 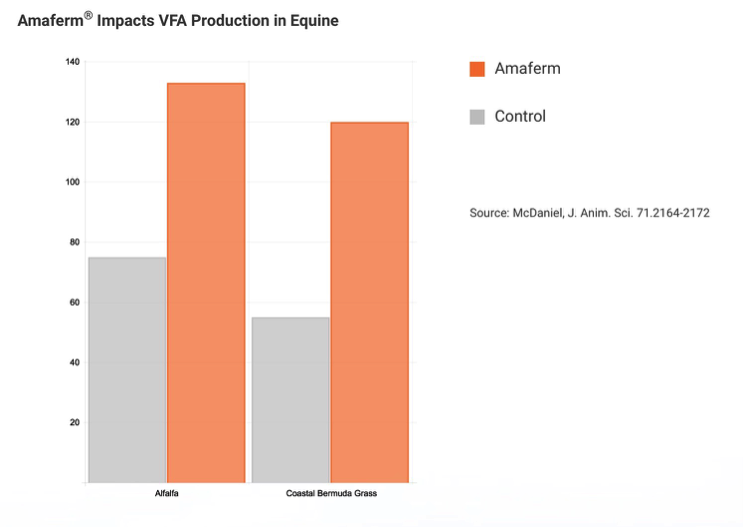 Because Amaferm® increases the efficiency at which the cellulose digesting microbes in the hind gut operate, horses supplemented with Amaferm have significantly higher VFA production from forages. This means the horse is absorbing considerably more energy (and nutrients) from the same amount of forage as a horse not receiving Amaferm. Fortunately, there are several different ways that horses can receive the Amaferm advantage. 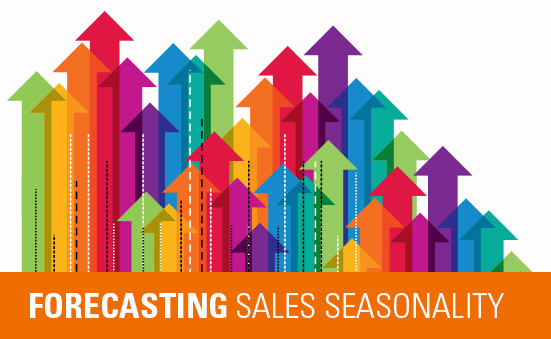 This chart will help you pick the ideal BioZyme product for your customer.